Hello and welcome to HomeCert Ltd. We are NICEIC Approved Contractors and we have worked on a plethora of projects ranging from small to large, we have much experience, tacit knowledge and know-how to apply to your electrical requirements and projects. We offer an extensively wide range of services from domestic small installations right up to complete commercial fit out projects. Fill out the form below or call us today and see how we can help you. We would recommend that domestic homeowners consider upgrading their consumer unit every 10 years or so, as updates and regularly made to the regulations and standards are revised. If you haven’t had a check on your installation within these kinds of time frames then it would be a good idea to have an EICR booked in to see how standards may have progressed. If you are interested in upgrading your Consumer Unit give us a call today for a free quote. An Electrical Installation Condition Report (EICR) is an extensive and precise inspection of the condition of an existing electrical installation. It is performed to identify in order of priority, any deviations from the current BS:7671 Wiring Regulations standard for electrical installations. The final outcome of the inspection will be either Satisfactory or Unsatisfactory, if it is the latter we will advise you on the options available to you to bring the installation up to standard. We are experienced in expertly troubleshooting electrical installations when problems arise. We will find the cause of the issue whether it’s the lights tripping or no power at some of your sockets. When it is found we will consult with you and inform you on exactly how to replace any defective equipment or cables and work out the best solution for you. We aim to solve your electrical issues in the least amount of time and get your electrics back on for you as soon as possible. We would advise all landlords leaving portable appliances in properties or companies with staffed offices to get their portable appliances PAT tested at least yearly. The Electricity at Work Regulations 1989 requires that electrical equipment that has the potential to cause injury is maintained in a safe working order. We will thoroughly check each item to make sure it is safe for continued use and we will produce a detailed certificate for you, listing all items we sign off as safe and numbered for your records. For more information please contact us. Whether you want to convert your old halogen downlights in to new energy efficient LED downlights, add that new feature light you just bought above the dining room table or maybe you want to add multiple sockets for a new study or office, we can do it. If you’re thinking about some night time summer lighting for your garden or swapping out all those old faded white plastic sockets for shiny new metal ones, we’ve got you covered. 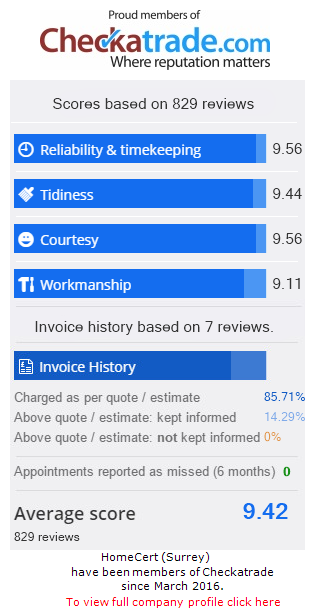 We have plenty of experience fulfilling our customers exact needs, Just let us know and we’ll give you a quote.